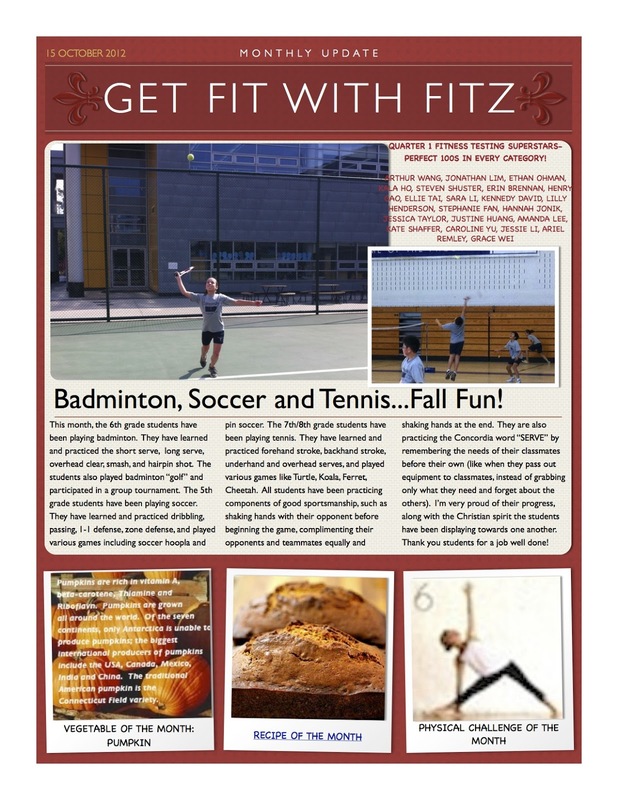 Latest edition of getFITwithFITZ newsletter available now! 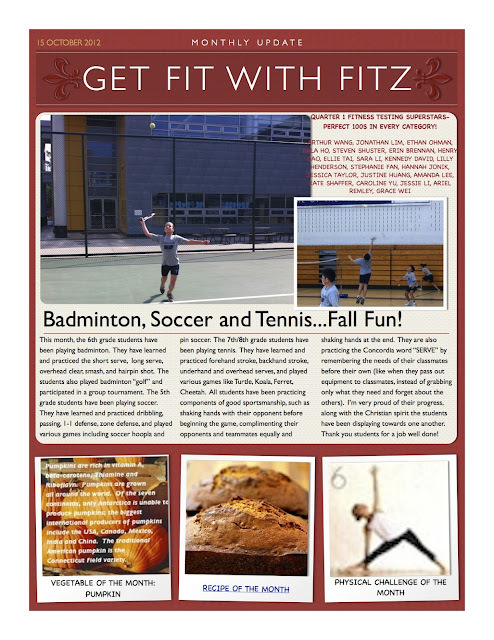 Check out week 9 photos from class, fitness testing superstars, along with the physical challenge of the month for October; the "Triangle" yoga pose. Don't forget to eat some pumpkin this month, for a necessary dose of beta-carotene and vitamin A. Try the delicious pumpkin bread recipe!